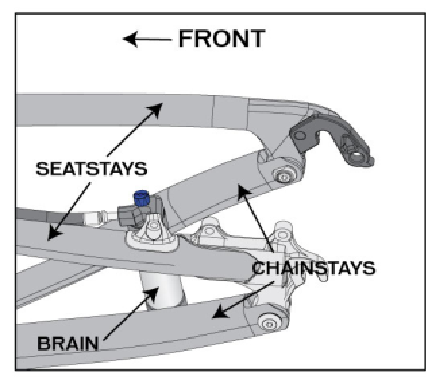 It has come to the attention of Specialized Quality Assurance and Engineering that the Brain mount used to bolt the Brain to the seat stay could crack which could cause the knob on the Brain to make contact with the wheel spokes, which could lead to a fall. Specialized Dealers have been instructed to remove all affected bicycles from their stores and replace the affected seat stays with approved seat stays. If you have an affected bicycle, please stop riding it immediately. A Specialized Dealer will soon contact you by mail with instructions on how to get the affected seat stay on your bicycle replaced with an approved seat stay through a Specialized Dealer, at no cost to you. Specialized and Specialized Dealers will move as quickly as possible to replace the affected seat stays and minimize any downtime. For those who own an affected bicycle, Specialized realizes that this may cause you to lose valuable trail time, we apologize and are offering you a small token of appreciation for your patience and loyalty which will be mailed directly to you. At Specialized, we are driven by one vision that is as simple as it is bold: Be the best cycling brand in the world. We are equally passionate about innovation and quality and will continue to stand behind our bikes and equipment. We are working with CPSC staff on the details regarding the recall from affected bicycles with consumers. Details should be released shortly. If you have any questions, please contact your local Specialized Dealer or call (877) 808-8154 between 9:00 a.m. and 5:00 p.m. MST Monday through Friday. Hazard: The cable stop on the bicycle can loosen, which can cause the rider to lose control and fall from the bike. Incidents/Injuries: Specialized received reports of two falls that resulted in fractures requiring medical attention and surgery. Description: The recalled bicycles are as follows: 2004 Roubaix Comp 18, 2004 Roubaix Comp 27, 2004 Roubaix Pro 18, and 2004 Roubaix Pro frameset models. 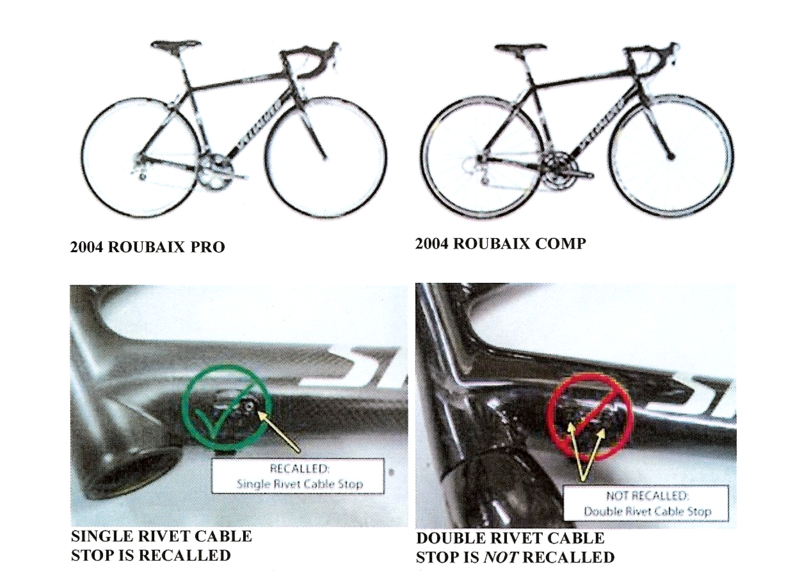 Only bicycles with a single rivet fastening the cable stop to the frame are subject to recall. The cable stop is attached through bonding materials and a single rivet mounted at the front of the bicycle. The cables pass through eyelets in the cable stop on the down tube. Bicycles with a double rivet fastening the cable stop to the frame are not subject to recall. The model names of the recalled bicycles can be found on the top tube of the bicycles. Sold by: Specialized authorized dealers nationwide from September 2003 through August 2004 for between $1,600 and $4,000. authorized dealer for an approved repair, at no cost to consumer. On March 19, 2009 Specialized issued a “Stop Sale Notice” to Authorized Specialized Dealers for all 2009 Specialized bicycles that have HL Handlebars, model number HL 13NTFOV. The affected bicycles with these HL handlebars are as follows: 2009 Cross Trail Comp, 2009 Myka HT Comp, 2009 MYKA HT Elite, 2009 Rockhopper Comp, 2009 Rockhopper Comp 29, and 2009 Rockhopper. Specialized has determined that the handlebars on the bicycles could break while riding, which could lead to a fall. 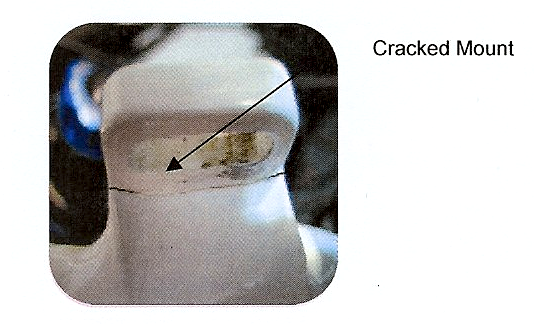 Specialized reported its findings to the CPSC and is working in conjunction with the CPSC on this corrective action. Specialized Dealers have been instructed to remove all affected bicycles from the sales floors of their stores and replace the affected HL handlebars with other handlebars. 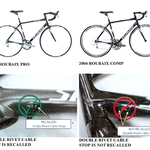 Specialized is working with CPSC staff on the details regarding the recall from affected bicycles with consumers. Details should be released shortly. If you have any questions, please contact your local Authorized Specialized Dealer or Specialized at 1-877-808-8154 between 9 a.m. and 5 p.m. MST Monday through Friday.